Measuring the impact of a customer advisory board (CAB) program is not always an easy, straightforward task. Like many aspects of marketing, CAB ROI requires incorporating a mix of hard and soft dollar amounts to explain and justify the program to your senior management team. But while it can be an inexact science, measuring CAB success doesn’t have to be rocket science. Here are 10 metrics to help you track and measure the ROI of your CAB program and gain executive buy-in. CAB members are almost certainly some of your company’s best and largest customers, and it’s important to monitor the revenue they generate. Ideally, you’ll want to begin monitoring them before they join your CAB, because if you’re like most companies, you will see an increase in their spending over time once they join. Our research shows that starting in year two, companies enjoy a 9 percent increase in new business from CAB members vs. non-CAB members. While such increases may not be due entirely to the CAB initiative, your customers’ involvement is almost certainly a contributing factor to an increased commitment to your company and its solutions. Input from your CAB program will provide a better understanding of your customers’ unmet needs, allowing you to deliver more value. Set a goal to increase overall average customer spend (or average selling price) to your customer base. We’ve seen companies shoot for 10 to 15 percent increases and achieve those goals as a result of direct input from their CAB program. Customers don’t just leave because they’re unhappy with your products; they also leave when they believe they aren’t hearing from you or don’t think they’re being heard by you (or maybe both). Begin tracking member attrition, if you’re not already doing so. You should see that CAB members leave at a much lower rate than non-CAB customers because of the inside track they enjoy with your leadership team and the product and service roadmaps that they help shape. In fact, companies often enjoy a retention rate of 95 percent among advisory program participants. In addition, if customer attrition is an issue at your company, your CAB program can help uncover why it’s happening and help you lower the rate across the customer base. CABs can uncover challenges relative to specific verticals or industries. This information will better equip your company to target these markets’ demands. CAB members may also know colleagues and be able to refer you to them. Make it a goal to gather referrals from your CAB members. Talk about ROI: One sale here could pay for your entire CAB program for a year or more. Strategic discussions can help identify net new customers or markets that might benefit from your offerings or services. If your company plans to enter a new market segment, consider leveraging CAB members to identify new target prospects and increase the overall prospects in your database. Set a goal of increasing overall prospects in your database by 10 percent. A top benefit of any CAB program is the valuable input members share about your existing products, how they are implemented and used, and the sometimes surprising benefits they provide. They will also provide critical feedback on your product roadmap—the new features and capabilities they’d like to see, as well as those they regard as lower priority or even unnecessary. While such prized information can focus or save untold amounts of product development cycles, such benefits can be difficult to quantify with specificity, which is why we recommend that CAB managers create product goals tied directly to their CAB programs. For example, uncover one (or more) new product feature(s) to add to the roadmap. Or, discover a new product concept that addresses your CAB’s largest unmet need. Perhaps a CAB member might even volunteer to be a beta tester of this new product. You could track the sale of these features or products, and attribute that revenue directly to your CAB program. In this age of social media and pervasive product and vendor reviews, recommendations by colleagues and peers carry more weight than ever. CAB members consist of your best, most dedicated customers and represent firms that are not only successfully using your products, but may be doing so in innovative ways that add incremental value to your other customers and to your company’s P&L. Make a goal to procure one to three testimonials from your CAB program. These can be simple written blurbs on your website or, even better, a video testimonial to share. Plus, since CAB members are typically high-level executives, you stand the best chance of getting their companies' approvals on these and any other marketing activities. We’ve seen CAB members present their successful—or novel—use of a product at CAB meetings, industry events and even user conferences. These presentations are quite effective, as attendees often respond more positively to endorsements from one of their own rather than vendor presentations. These customer speakers can be equally powerful at internal meetings. They describe not only their successful use of your product, but why they selected it over a competitor’s product, and how their company plans to grow with it. This provides valuable intelligence for your account teams. Set a goal of identifying one to three CAB members who would be terrific spokespersons for your product. Take the extra step to integrate them into your marketing program. Then track their speaking engagements, as well as the audience in the sessions in which they present. Ask your best CAB members to issue press releases on their successful use of your products—perhaps as beta purchasers or when key milestones are achieved. Case studies can provide richer details around their situation and results of using your solution while serving as valuable sales tools for your prospects. Or perhaps your customers would participate in a webinar to discuss their trials, failures and ultimate triumphs using your solution. Make it a goal to include a CAB member in one or all of these marketing initiatives. And be sure to track press release impressions or clicks, case-study downloads and webinar attendees. Imagine how your CAB ROI will skyrocket if any of these prospects turn into paying customers. Many of the boards we manage end up creating impressive collateral that reflects the collective experience and thinking of that board’s member output; for example, a white paper that provides guidance on an industry challenge affecting many companies, suppliers and vendors alike. Such thought leadership can garner industrywide attention from press, analysts or bloggers, and positions the host company as a sought-after expert resource on that issue. CAB managers who are unprepared to share their concrete successes when they face budget scrutiny risk losing their program, even if that program is actually quite successful. The key is to establish tangible goals from the onset and track those goals as the program evolves. 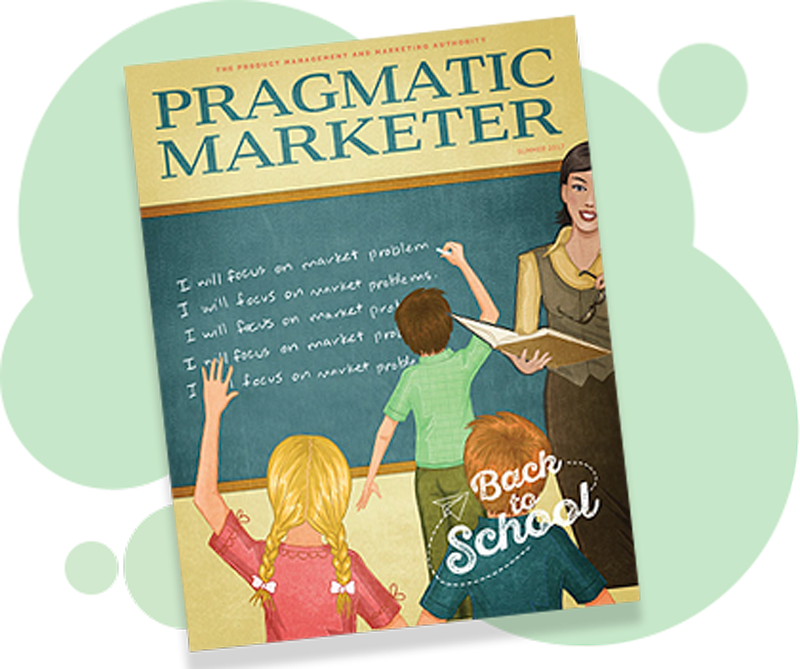 Check out more articles from this issue of Pragmatic Marketer. Rob Jensen is vice president of marketing for Ignite Advisory Group (www.igniteag.com), a consultancy that helps B2B companies manage their customer and partner advisory board programs. Rob has more than 20 years of experience in marketing, communications and business development leadership positions with leading enterprise software and technology companies. Rob has successfully overseen groups that generate global awareness, increase lead generation and enable sales teams. In addition, he specializes in initiating, managing and facilitating customer and partner advisory board programs in the U.S. and abroad. Contact him at rob.jensen@igniteag.com.